Mail.ru began in 1998 as an email service but later evolved into a massive player in the Russian-language Internet. A major Russian Internet company, Mail.ru Group, announced the acquisition of Pixonic, the Moscow-based mobile game developer. The LSE-listed Mail.ru Group has acquired a 100 percent stake in the gaming startup Pixonic for $30 million in cash, including $20 million upfront and $10 million deferred and based on performance indicators. Gaming is one of the group's key activities, and its portfolio includes a number of MMOs, social and mobile games. Among the most successful ones are Skyforge, Legend: Legacy of the Dragons, Allods Online, Lovely Farm, Evolution: Battle for Utopia, Jungle Heat, Warface, ArcheAge, Perfect World, and more. 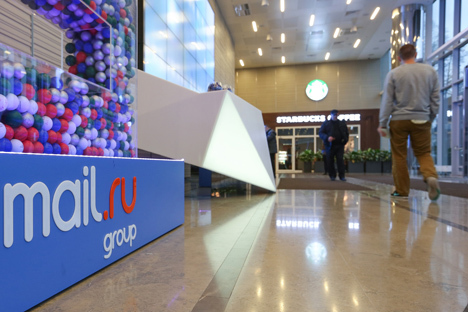 "We are very pleased to be adding one of the world’s most talented teams of mobile games developers," commented Mail.Ru Group's CEO, Dmitry Grishin, on the acquisition. ``There is a clear strategic fit here and we look forward to working together to strengthen our international mobile games development and publishing, and take the company’s games to even further success." The acquisition will enable Mail.ru Group to access a major new audience that is spending money on free-to-play apps in the $36.6 billion global mobile-gaming industry, noted VentureBeat. This is especially the case in the U.S. where Pixonic’s War Robots generates the bulk of its revenues. With more than 500,000 daily users and 20 million installs reached last month, this game is also popular in Japan, China, South Korea, and Germany. Russia ranked 6th with 1.5 million installs to date. When founded in 2009 Pixonic and its "Jedi team" aimed to become a leading global player. The startup initially focused on developing social network games. In 2013, it embarked on long-term mobile projects, and Pixonic’s first success in this segment was Robinson, followed by War Robots. Pixonic was initially backed by the Russian venture fund, AddVenture, and in subsequent rounds the company obtained an additional $1 million from QIWI founder Andrey Romanenko, and $5 million from Russia’s Kite Ventures, Ukraine’s TA Ventures, and France’s Ventech. The company has not become a global leader yet, but it employs more than 100 professionals and specialists in its offices in Belgorod, Moscow, and Berlin. In 2015, Pixonic’s revenues reached 456 million rubles (approximately $7.3 million at the average exchange rate). This figure jumped to 619 million rubles ($8.8 million) in H1 2016, placing Pixonic 8th among Russian gaming companies. The Russian online and mobile gaming market reached nearly $1 billion in 2015.